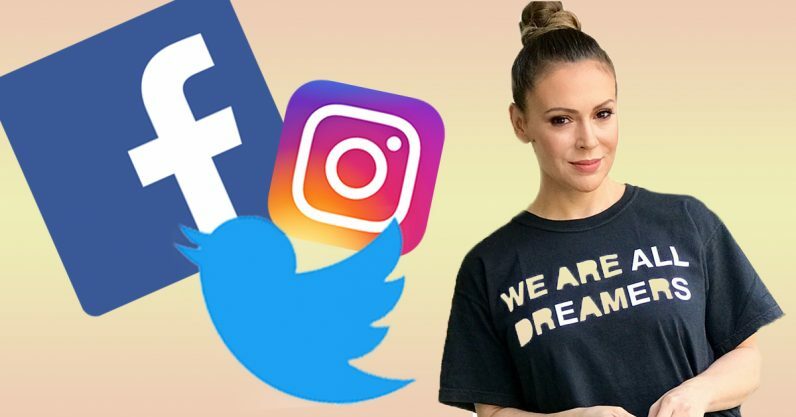 Alyssa Milano is at it again. She’s staging an online protest, in the form of digital counter-programming, during President Donald Trump’s State of The Union speech next week. The revolution will not be televised: it’ll be tweeted. Dubbed #StateOfTheDream, the movement continues Milano’s digital activism as part of what she, and many others, refer to as “the resistance.” This peaceful protest will occur online, across most popular social media platforms, at 6:00PM PST / 9PM EST, on the 30th, during the president’s speech. Support our dreamers and immigrants, call for a DREAM Act, lean into the Senate, fundraise for United We Dream, and express our vision for a more inclusive, progressive America. For those unfamiliar — or who simply think of her as an actress — Milano’s digital activism isn’t a new thing. Last year she was recognized as part of the “Silence Breakers,” Time magazine’s Person(s) of The Year, for her efforts as part of the #MeToo movement. We also invite you create a brief (60 seconds or less) video describing your dream for America: What you hope for. What inspires YOU. (We especially encourage those running for office and those already serving to do so!). All videos should be posted simultaneously at 6pm PST/9pm EST with the hashtag #StateOfTheDream on all of your social channels. Social media is a perfect medium for peaceful protest, especially when the core message is one of hope and inclusion. The soul of a nation is defined by its citizens’ ability to agree upon a set of principles and values which reflect the moral fabric of its entire population, something only accomplished when everyone has a voice. Impassioned leaders in the civil rights movement, like Milano and the other women who transformed #MeToo from a hashtag to a movement, continue to be prove that in the right hands social media can be a positive force for change. Let us know in the comments if you plan on participating in #StateOfTheDream, we’d love to see your videos.